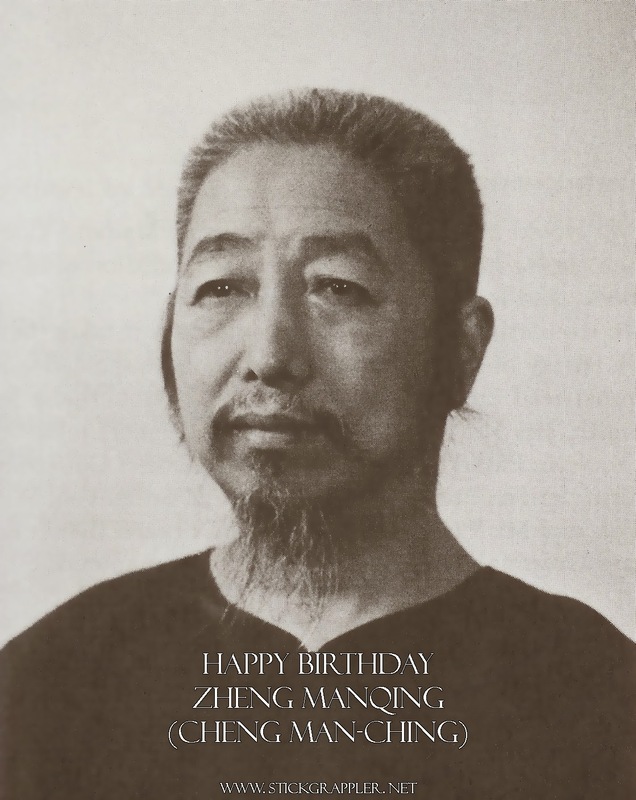 Happy 112th Birthday Zheng Manqing (aka Cheng Man-ching) (郑曼青)! Happy Birthday Zheng Manqing (aka Cheng Man-ching) (郑曼青)! Today would've been ZMQ/CMC's 112th birthday! He passed away on Mar 26, 1975 at the age of 72. At the age of 28 in 1930, Zheng met and trained with Yang Chengfu, the grandson of Yang Luchan (founder of Yang Taiji). Zheng learned from Yang Chengfu until Yang's death in 1936. Zheng was one of the earliest Chinese masters to teach Taiji publicly in the United States. He taught what he called "Yang-style short form" or "Yang-style Taiji in 37 Postures." By eliminating most of the repetitions of certain moves of the Yang long form, Zheng counted the moves as 37 Postures. It takes around ten minutes to practice instead of the twenty to thirty minutes of the Yang long form. Zheng mastered Taiji, Chinese medicine, calligraphy, painting and poetry (the last 3 called the "3 perfections"). He was often referred to as the "Master of Five Excellences" by virtue of his mastery. As a point of comparison: IIRC, Miyamoto Musashi was a Master of painting, sculpture as well as swordsmanship/martial arts. Yamaoka Tesshu was a Master of calligraphy, poetry, Zen, and swordsmanship/martial arts. Posting some videos in ZMQ/CMC's honor.